Enchant artifact Whenever you're dealt damage, put that many vitality counters on Living Artifact. 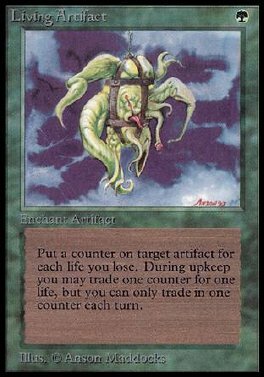 At the beginning of your upkeep, you may remove a vitality counter from Living Artifact. If you do, you gain 1 life.